Situated in the most stylish neighborhoods with tempting shopping, cute coffee shops and an array of exceptional dining and nightlife spots, our girlfriend getaway vacation rentals are the perfect destination for unforgettable London vacations. Sleeps 4 people. 2 Bedrooms, 2 Bathrooms, Sofa Bed. 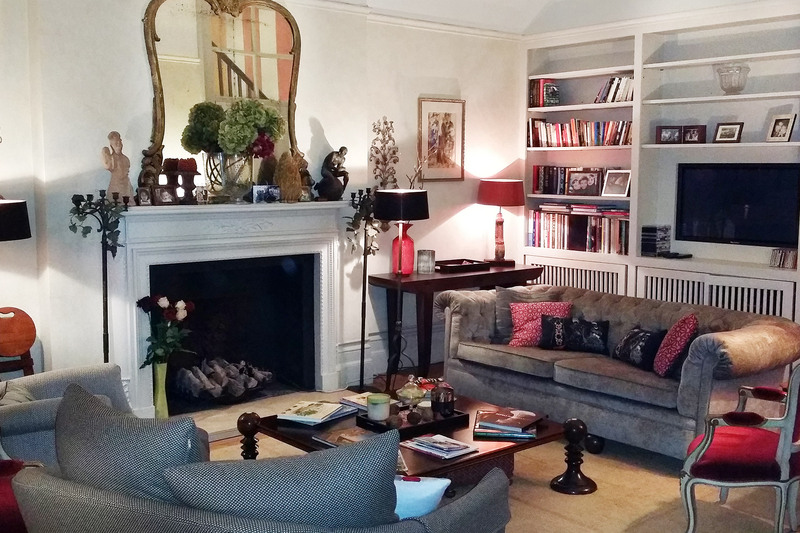 Classic London home set in stylish Kensington with access to gorgeous communal garden. Free WiFi. Escape to a world of classic London style meets posh Kensington appeal at the Austen, a remarkable apartment just a short stroll from beautiful Kensington Gardens and Notting Hill. With two stylish bedrooms, a comfortable living room with sofa bed, dining nook, and kitchen overlooking a communal garden, this rental is truly a home away from home in London. Sleeps up to 5 people. 3 Bedrooms, 3 Bathrooms. 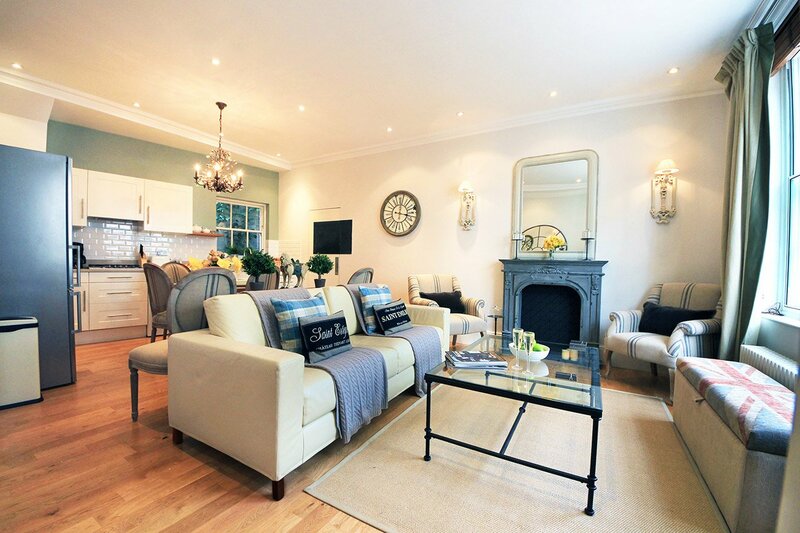 Gorgeous London home with perfect setting in fashionable Belgravia neighbourhood. Free wireless internet. This elegant London home features 3 bedrooms, 2.5 bathrooms and a marvellous setting in one of London's most prestigious and neighborhoods in Belgravia near trendy Elizabeth Street. Enjoy the best of the London lifestyle while strolling to Buckingham Palace, Sloane Square in Chelsea, Victoria station and excellent shopping and dining spots nearby. Sleeps up to 4 people. 2 Bedrooms, 2.5 Bathrooms. 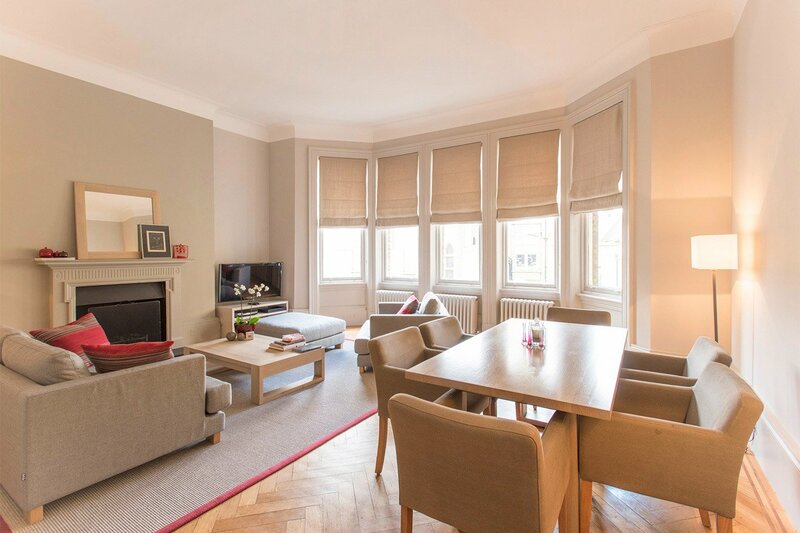 Stylish rental with balcony located on a lovely garden square in South Kensington. Free wireless internet. Set on a prestigious square in South Kensington, the Cavendish is a beautiful 2 bedroom vacation rental with a designer décor and artistic touch. It is perfect for a comfortable London holiday in an elegant setting for guests who will lovingly look after it as their own. Enjoy strolling to Museum Row, Kensington Gardens and great shopping nearby. Sleeps up to 4 people. 2 Bedrooms, 2 Bathrooms. 1,800 square feet. 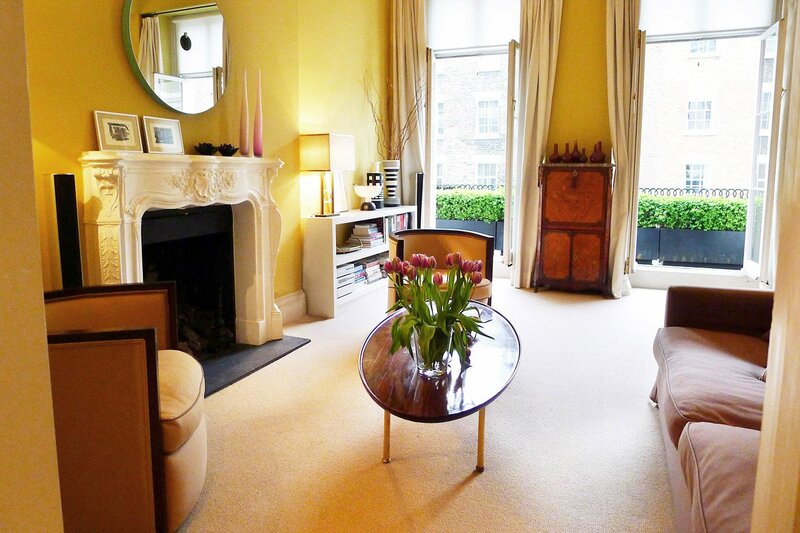 Stylish and artistic two level home with beautiful private garden near Holland Park. Free wireless internet. The very best of the London lifestyle is yours at the Chatham, a gorgeous 2 bedroom home near Holland Park and Westfield Shopping Centre in Shepherd's Bush. 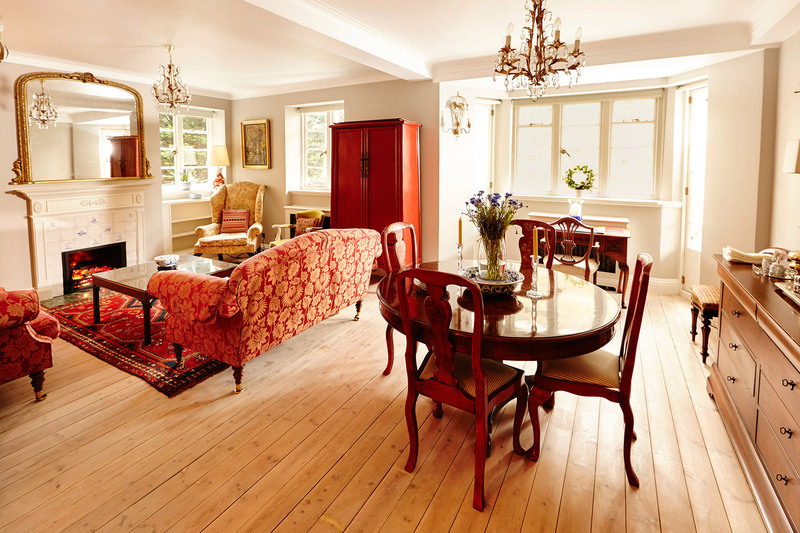 During your stay you'll enjoy the stylish living room, elegant dining room, comfortable bedrooms and the private garden patio where you can dine al fresco on warm summer evenings in London. Sleeps up to 5 people. 2 Bedrooms, 3.5 Bathrooms. Stunning two-level Chelsea duplex with ideal location and private garden patio. Free wireless internet. 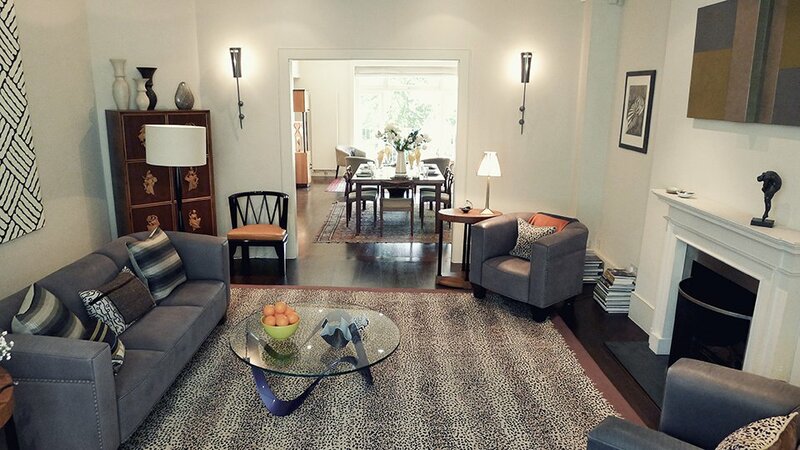 You'll love calling this remarkable 1750 square foot London rental home! Along with its enviable Chelsea address, it features two beautiful bedrooms, an elegant living room, formal dining room, modern kitchen with dining area and a TV room that opens to a private garden patio perfect for dining outdoors. All just moments from King's Road and the Thames! Sleeps up to 5 people. 2 Bedrooms, 2 Bathrooms. Beautifully remodeled vacation apartment with charming location in Chelsea. Free internet. The Churchill is lovely 2 bedroom, 2 bathroom vacation rental located in Chelsea near Fulham Road and Earls Court. Fully corated in a warm and elegant style, this London Perfect apartment features an open plan kitchen, dining area and living room and offers a comfortable stay surrounded by the best of Chelsea nearby. Sleeps up to 5 people. 2 Bedrooms, 2 Bathrooms. AC. Beautifully remodeled and spacious London rental in charming Holland Park near Westfield shopping centre. Discover the charms of Shepherd's Bush at the Gladstone, a fully remodeled 2 bedroom, 2 bathroom vacation rental on a peaceful residential street in London. Stroll to the Westfield Shopping Centre for fabulous shopping or hop on the tube to reach London's top spots easily. You'll also enjoy relaxing in the beautiful gardens of nearby Holland Park. Sleeps up to 6 people. 3 Bedrooms, 2 Bathrooms. 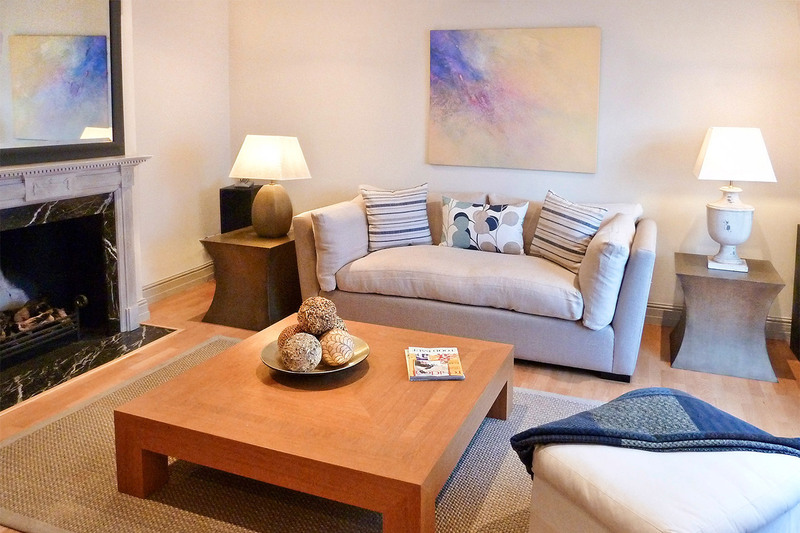 Beautiful London mews home rental located between Kensington Palace and Holland Park. Free internet. Our Hornton 3 bedroom vacation home offers the unique chance to be transported back to Olde England in a peaceful mews right in the heart of Kensington. Beautifully remodeled in a comfortable modern décor, this London Perfect vacation home is surrounded by fabulous shopping, restaurants, museums and the lovely Holland Park and Kensington Gardens. Settle into a comfortable stay at the MacDonald, a lovely 3 bedroom, 2 bathroom vacation apartment rental in the sought-after Kensington neighbourhood. With a classic British decor and beautifully designed living room, modern kitchen and welcoming bedrooms, this apartment is a wonderful home away from home in London! Sleeps up to 8 people. 3 Bedrooms, 2 Bathrooms. 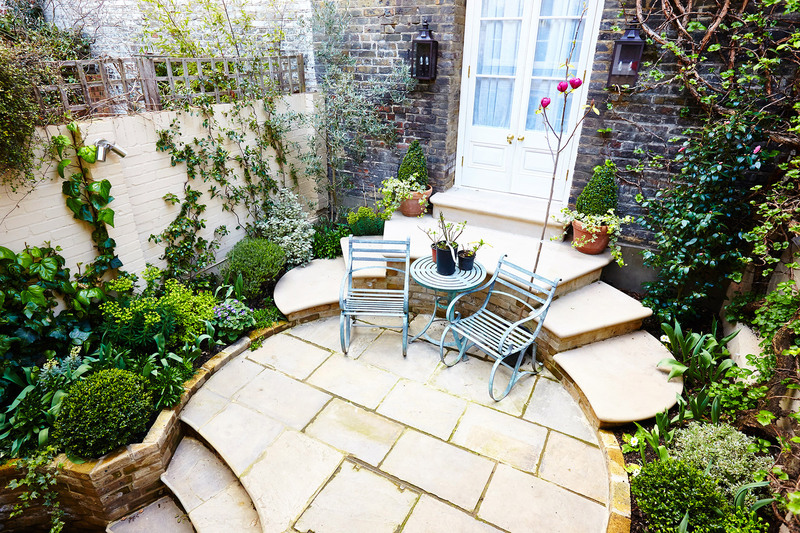 Beautiful three-level London home set in a lovely mews in Kensington. Free wireless internet and AC. This gorgeous 3 bedroom home is located on a charming mews in the heart of Kensington just a short stroll from Kensington Gardens, outstanding London shopping, world-class museums and wonderful cafés and restaurants. Beautifully remodelled in every detail, the Middleton offers a comfortable stay in one of London's most exclusive neighbourhoods. Sleeps up to 6 people. 2 Bedrooms, 2 Bathrooms. Gorgeous modern rental with excellent Chelsea location near King's Road and Thames. Free internet and AC. The Pelham is a stylish and contemporary 2 bedroom apartment located on an exclusive street in London's popular Chelsea neighborhood near the Thames. Enjoy stunning décor, high tech features, two narrow patios and an open plan living room with dining area and kitchen during your stay. All the charms of Chelsea are just a short stroll away! Sleeps up to 4 people. 2 Bedrooms, 2 Bathrooms. 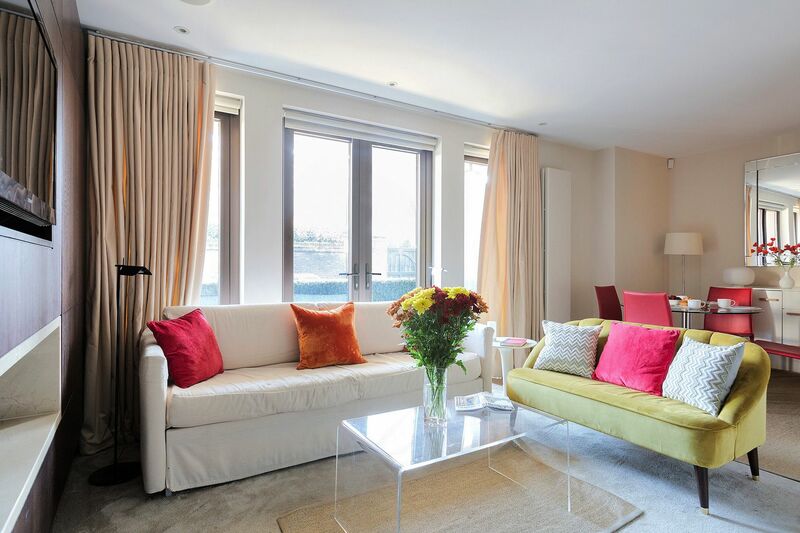 Contemporary and beautifully decorated London home set in an exclusive mews in Kensington. Free wireless internet. The beauty and culture of Kensington are at your fingertips at the Roseberry - a graciously appointed 2 bedroom mews home vacation rental in one of London's most coveted neighbourhoods. Close to a world of attractions yet boasting a quiet neighborhood feel, enjoy London elegance at its best with a stay at this remarkable home. Sleeps up to 5 people. 3 Bedrooms, 2 Bathrooms. Remarkable London rental in exclusive setting between Chelsea and Knightsbridge. Free wireless internet. Located near beautiful Cadogan Square, one of London's most exclusive neighbourhoods, the Sloane exudes elegance in every detail of its spacious living area, gourmet kitchen and three stylish bedrooms. Refined London living is yours at the Sloane, a luxurious address with an utterly fabulous location between Chelsea and Knightsbridge. Sleeps up to 6 people. 4 Bedrooms, 3 ½ Bathrooms. 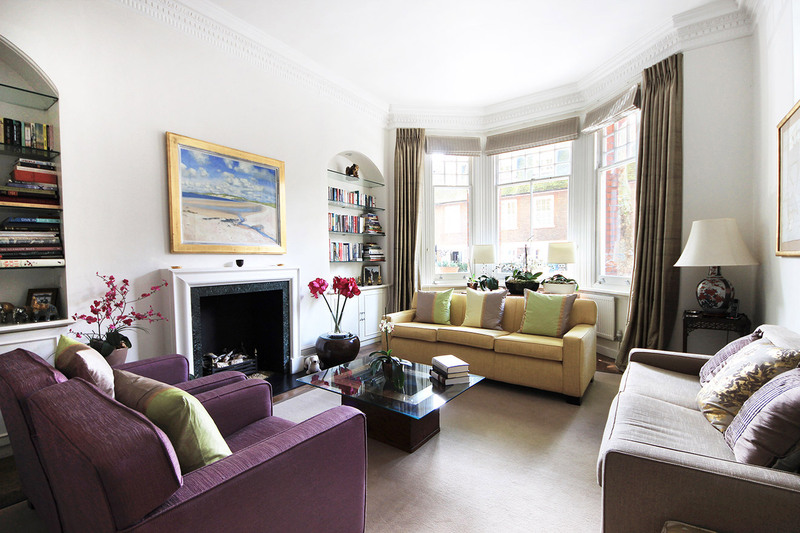 London home with private balcony and windows overlooking beautiful gardens in Kensington. Free internet. 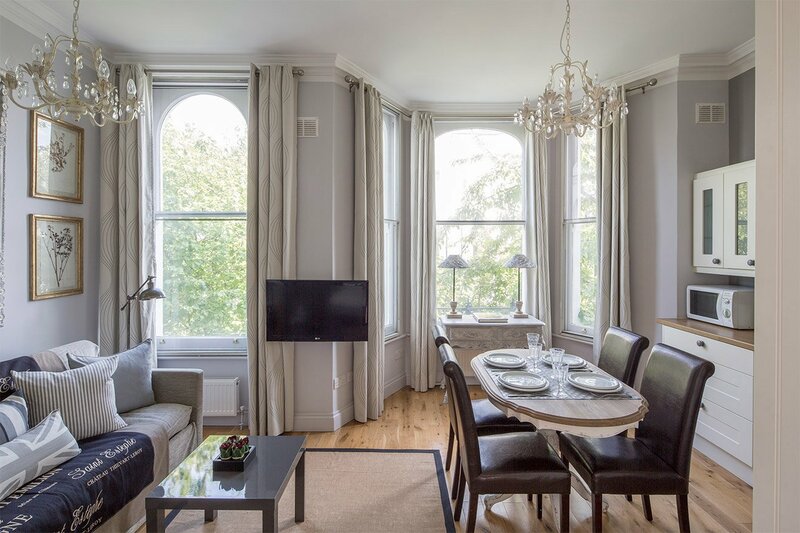 Overlooking the prestigious Cornwall Gardens in Kensington, the Gloucester is located in an historic Victorian building with a private balcony and views of the peaceful gardens below. Elegant and warm in every detail, this 4 bedroom vacation rental has an ideal address near Kensington Gardens, Museum Row and Knightsbridge. Sleeps up to 4 people. 2 Bedrooms, 2.5 Bathrooms. Luxury London home with sunny private courtyard in ideal Chelsea location near Harrods. Free internet. 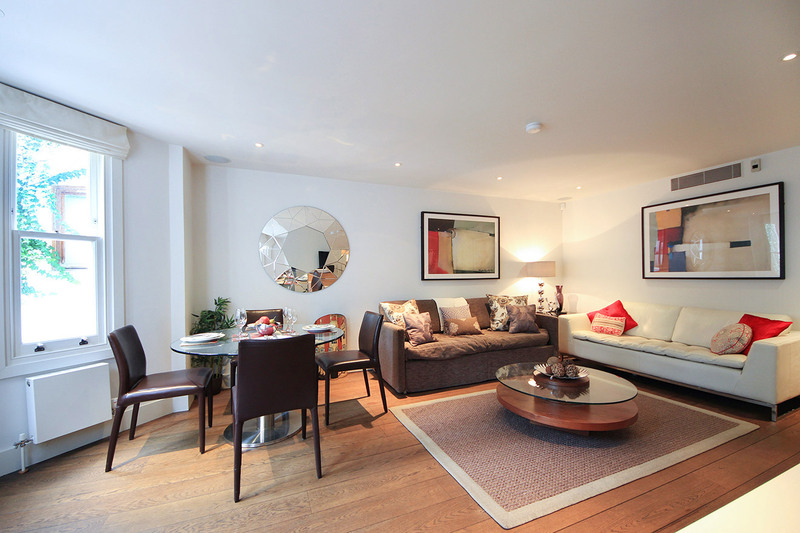 The Walton is a beautiful 2 bedroom London home decorated with gorgeous sculptures and artwork. 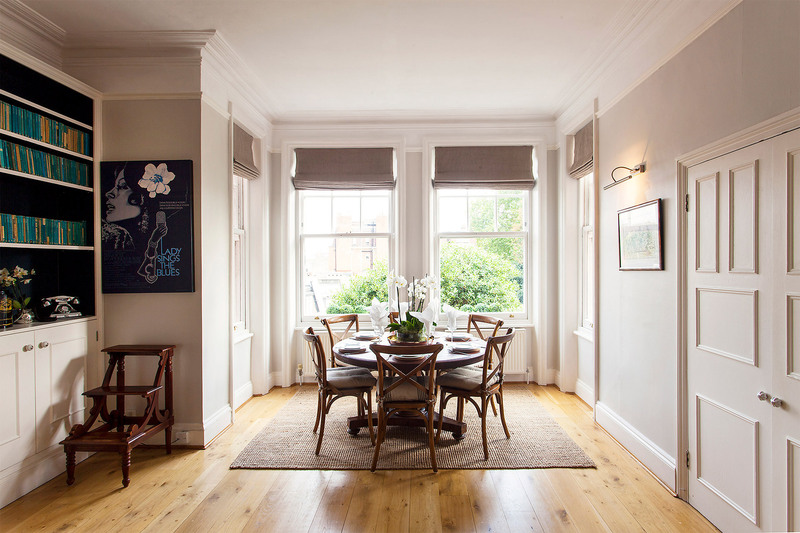 Located in an ideal location between South Kensington and Chelsea, this is the perfect rental for caring guests that love artistic touches and who will savor the elegant setting and look after it as their own home away from home in the heart of London. Sleeps up to 7 people. 4 Bedrooms, 3.5 Bathrooms. 3-level home with storybook setting in London's exclusive Kensington neighbourhood.Free wireless internet. 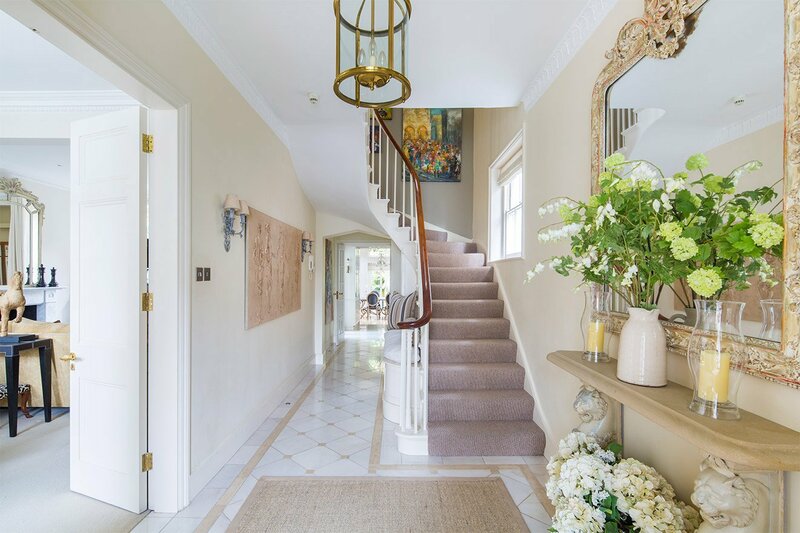 This stunning and finely appointed four bedroom home features a storybook setting in London's exclusive Kensington neighbourhood near Museum Row and Kensington Gardens. With a spacious living room, grand dining room and open plan gourmet kitchen and terrace for outdoor dining. Imagine the very best of London living and it's yours at the Victoria! Sleeps up to 5 people. 3 Bedrooms, 3 Bathrooms. 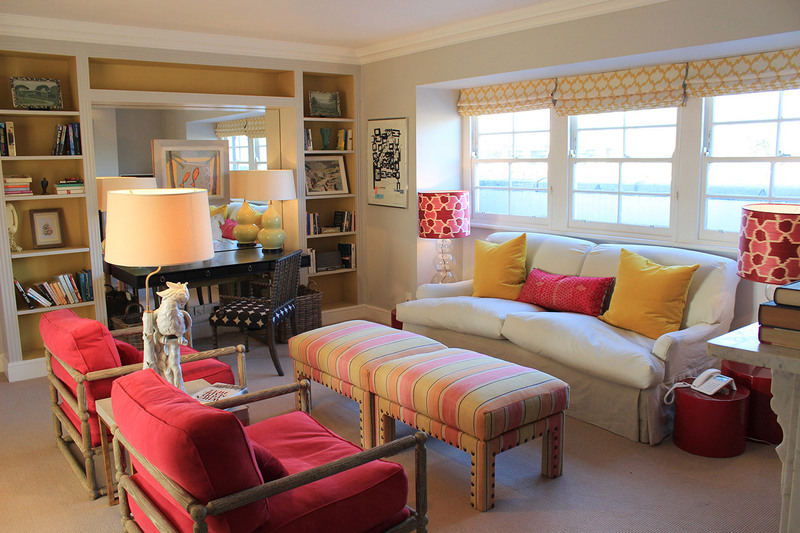 Impeccable London vacation rental in charming Chelsea near Thames and King's Road. Free internet and AC. 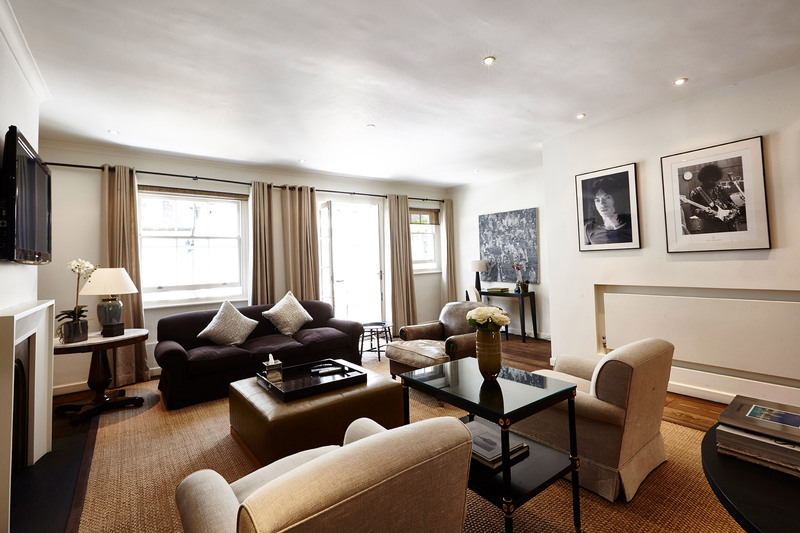 Sample the height of relaxed yet sophisticated London living with a stay at the inviting 3 bedroom, 3 bathroom Wellington. 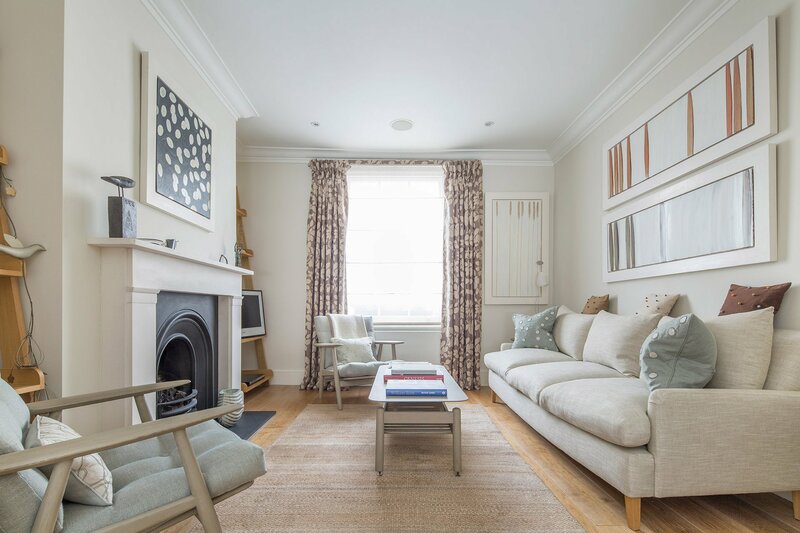 Located in a charming setting in stylish Chelsea, this elegant vacation rental is a breath of fresh air for vacationers looking for a luxurious London home that is peaceful yet also located near London transport and top sights.